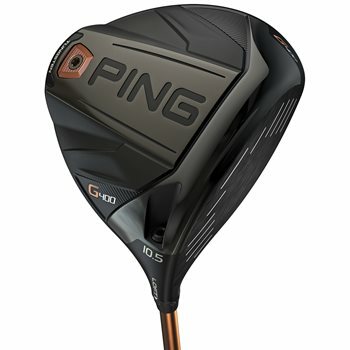 The Ping G400 driver is Ping’s fastest, most forgiving driver, ever. The driver features a T9S+ face that has a thinner, hotter impact area to elevate ball speed across the entire face. The face is 6% thinner and is 9% lighter than its predecessor allowing for extra weight to be placed strategically to tighten dispersion even further. A higher-density back weight helps with forgiveness and allows you to customize your swing weight and you can fine-tune your launch conditions prior to a round by adjusting loft up to +-1º. Clubhead speed is increased with the streamlined shaping, bolder turbulators and Vortec Technology. Dragonfly Technology creates an ultra-thin crown and skirt for weight savings to optimize the CG location and increase MOI for maximum forgiveness and accuracy. Review by Dave corlett, 5 months ago. to clarify; is this G400 a LST ? I see it is the 445cc which would denote that it is , yet your product label is G400. This is the regular G400. Per Ping's website, it is also a 445 CC clubhead.